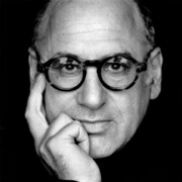 Michael Nyman is one of the most significant composers of our time. Internationally he is recognized primarily as a composer for film, his works including the score for Jane Campions Oscar-winning film The Piano, as well as music for a number of Peter Greenaway films such as The Cook, the Thief, his Wife & her Lover and The Draughtsman's Contract. As a music journalist, in 1968 Nyman coined the term "Minimal Music" and in the 1970's, he briefly joined the Steve Reich Ensemble. Collaborations followed with Brian Eno and the legendary Scratch Orchestra, until Nyman finally formed his own ensemble, the Michael Nyman Band. In addition to numerous soundtracks for films by Volker Schlöndorff (Der Unhold), Michael Winterbottom (among others Wonderland), Andrew Niccol (Gattaca), Neil Jordan (The End of the Affair) and Patrice Leconte (The Hairdresser's Husband, Monsieur Hire), Nyman's oeuvre includes compositions for opera and concert, for dance and music theater, art videos, performances and installations. These have been immensely successful, performed worldwide by orchestras, chamber ensembles, choirs, soloists and the Michael Nyman Band. 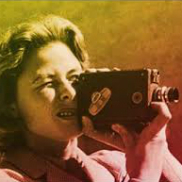 The 68th Festival de Cannes describes Swedish actress Ingrid Bergman, who worked with Alfred Hitchcock, Roberto Rossellini and Ingmar Bergman, and starred opposite Cary Grant, Humphrey Bogart and Gregory Peck as a “modern icon, an emancipated woman, an intrepid actress, and a figurehead for the new realism”. Bergman had an exceptional international career, yet she always defended her views, struggling for equal rights for all; she always stood by her convictions, regardless of what others might say. She was forever questioning her own actions and the norms of Hollywood – choosing her scripts with care; and she played complex characters, roles far from what many expected of her. In international terms, Ingrid Bergman is one of the most famous Swedes. Yet few know the human being behind the legend. Who was she? What was it that actually drove her? Beside Ingrid’s own words and footage, the film includes a rich gathering of individuals who had a strong relationship to her. For the first time all four of her children – Pia Lindström and her three siblings Isabella, Ingrid and Roberto Rossellini – appear in a film about their mother.